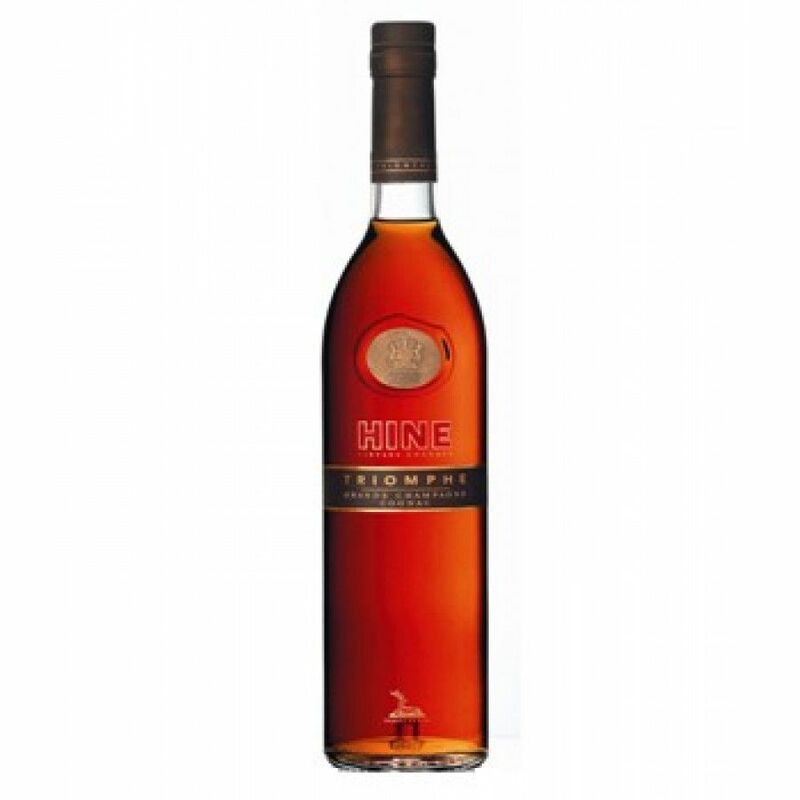 Hine Triomphe Cognac presents a fruity, flowery nose, on the palate round, mellow with a strong, long finish. Hine Triomphe is a cognac that has been aged for about 40 to 50 years in oak barrels. Its the cognac housess richest cognac - its grapes come from the Grande Champagne area, in a 70 cl bottle, at 40% ABV. Hines Triumph is a blend of over 50 different eaux-de-vie. The Cognac received an award at the 2005 International Wine & Spirit Competition. This cognac is pure nectar!